Srinivasam Complex and Madhavam Guesthouse are located right opposite to Tirupati bus station. 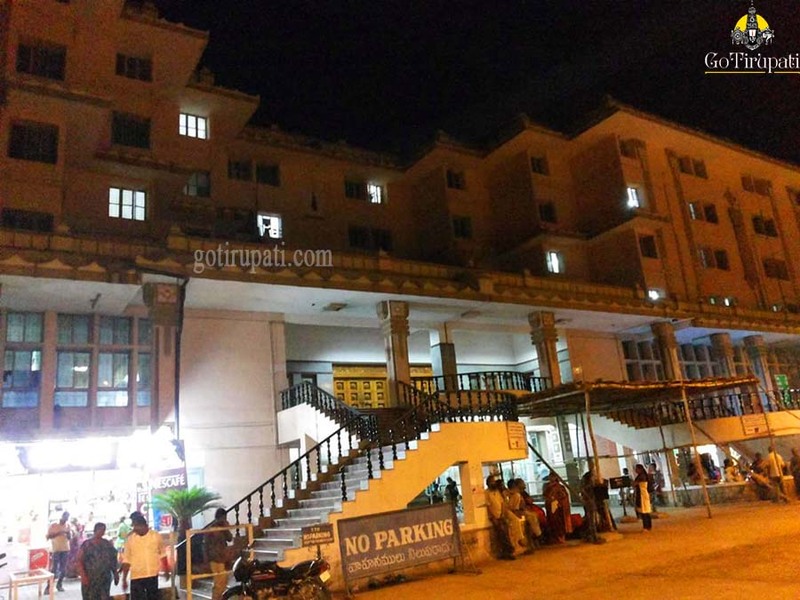 Vishnu Nivasam is located right opposite to Tirupati Railway station. Room allotment counter opens for 24 hours for Internet bookings at all these cottages. Rooms are allotted for 24 hours from the time of check-in. Pilgrims can choose the check-in slot while booking the room in online depending on their arrival time in Tirupati. Accommodation can be booked 90 days in advance. One can book 1 room for 24 hours using 1 login ID.